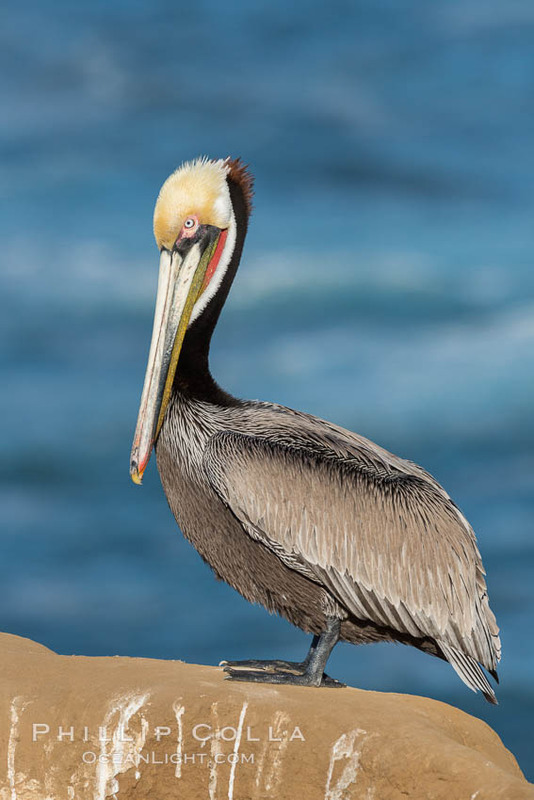 The plumage of La Jolla’s California brown pelicans (Pelecanus occidentalis) has been especially striking this year, it seems there are more really red throats and deep brown necked adult brown pelicans on the bluffs than usual. 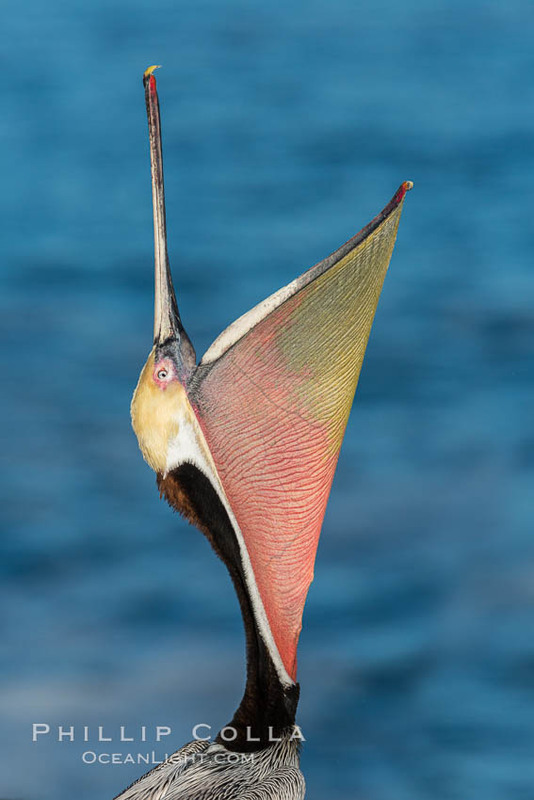 I also find it interesting how much color variation there is in the bills of these birds, from pink and red to gray to white or sometimes near black. The last two weeks have had exceptional weather with clear dry offshores, which makes for good photography. 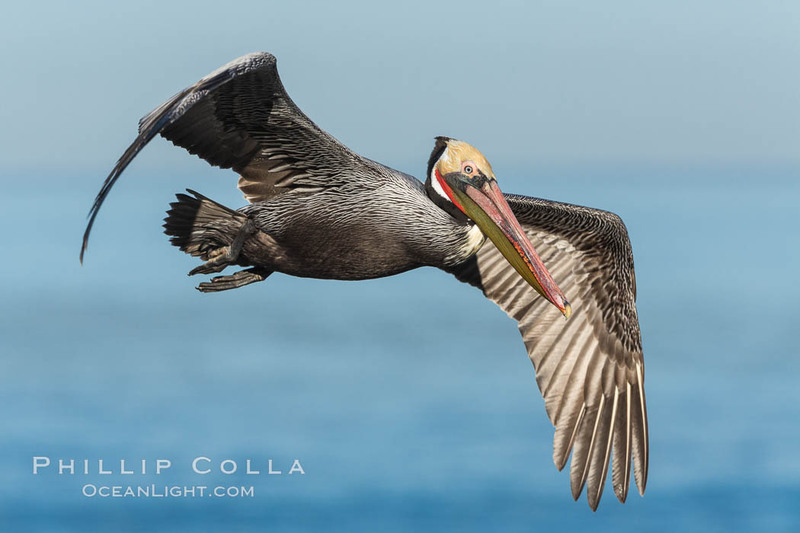 It really has been like shooting fish in a barrel, the great conditions combined with the latest autofocus gear makes flight photography a breeze. 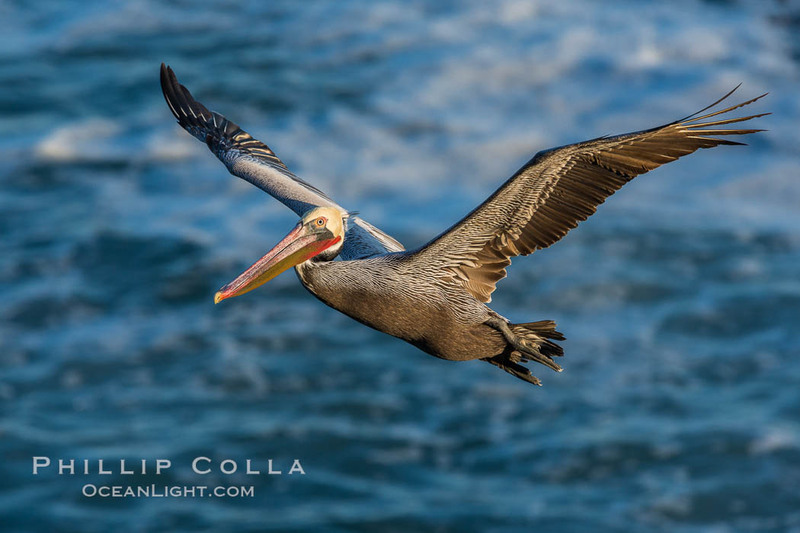 I drove down the coast to admire the waves at sunrise, and stopped for a bit in La Jolla. 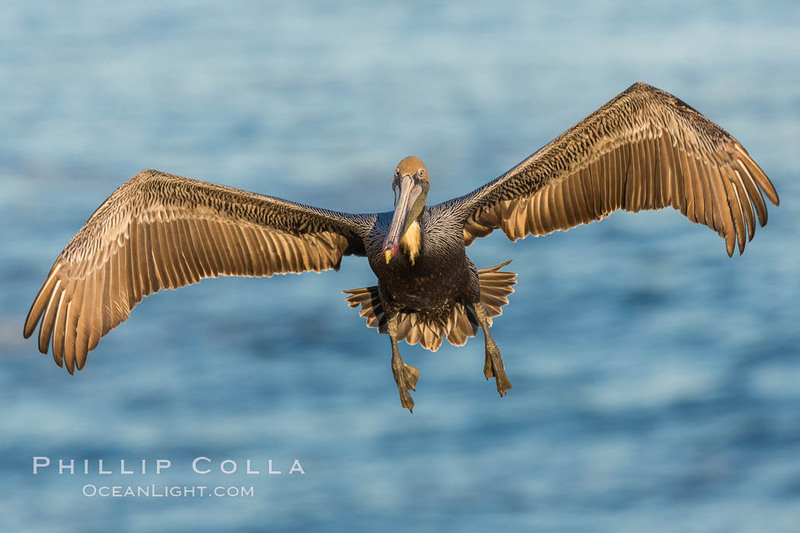 There was ideal light plus a large swell that arrived yesterday had the water stirred up far below making for slight different texture to the background of portrait and flight photos. These are the images I kept from this morning; all were shot handheld with a 5DIII and 300/2.8, they razor sharp on the eyes and little or no cropping needed. 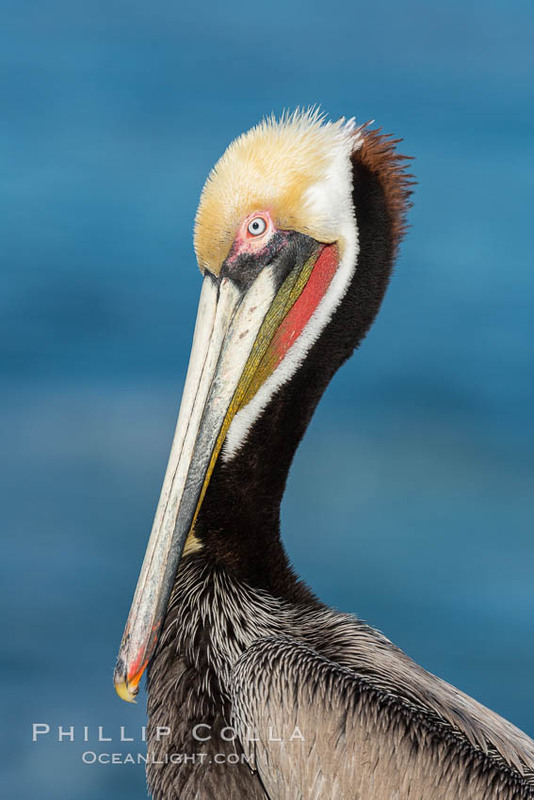 If you like these, please see more California brown pelican photos or a little PDF e-guide about this choice spot. Cheers and thanks for looking!